Fire, terrorism, hacking, theft – these are just some of the threats looming over your business. It seems like every day we see news coverage of another tornado or hear about a company whose data was breached. We live in a dangerous time, which is the best reason for developing a standardized series of takes that will help with business recovery in the event that a crisis occurs. Assessing the losses, rebuilding systems, recovering files, and reopening the doors of your business is a high priority after a disruptive event occurs. A disaster recovery plan is your road map for getting back up and running as quickly as possible. Here are five of the best reasons we can think of for law firms to create a disaster recovery plan. Disaster is Looming – Will You Be Ready? 1. A disaster recovery plan is designed to keep you safe before, during, and after a catastrophic event. These plans usually include the development of an emergency response team within the organization. These teams include a technology sub group that has a series of tasks assigned that could include proactively moving data from an on-premise site to the cloud in order to protect crucial digital files. Whatever the tasks, they should be practiced repeatedly. For example, have office fire drills. You can invite the local police or fire department to give lectures to your team to help keep the disaster recovery plan top of mind. Having a plan will help your organization respond more effectively in a crisis situation, which will help keep your data and the people that use it, safer. 2. These plans can help you deal with a public relations crisis. For example, if you develop a disaster recovery plan to respond to cyber terrorism, it should include steps that will begin to restore your firm’s reputation with the public. This will help ensure the financial health of your business. Too, being able to exhibit “business as usual” quickly after a disaster will help retain your existing clients, who expect 24/7/365 these days. 3. 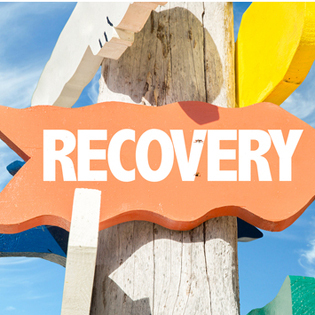 A disaster recovery plan will help you stem financial losses after a critical event occurs. According to Data Center Knowledge, 80% of the small businesses that experience a disaster run the risk of going under. The truth is that very few businesses can afford a lengthy downtime. Having a backup plan in place, especially related to technology, can ultimately save you money in lost downtime and file recovery. 4. A disaster recovery plan will help mitigate your risk. Risk assessment is an important tool for protecting and building your brand. While we cannot control Mother Nature, we can stay prepared for her eventuality by having a disaster recovery plan in place. Machines can break, power can go down, and an employee can make a mistake. These are all things that we cannot control, but we can proactively prepare to deal with them when they occur. Disaster recovery plans look not only at the on-site physical parts and pieces of your business, but they establish a plan to reroute employee workflows and processes so that you can get back up and running even if your office is not. Get a free assessment of your ability to recover from an adverse event. 5. Can you afford not to have a disaster recovery plan? We know that many small law firms near the line for insolvency as their practices are getting established. No business is immune to disasters, certainly, whether they come from employee error or an unpredictable weather event. But small firms will potentially be hit the hardest by the loss of income if they cannot open their offices simply because they do not have the influx of cash reserves large firms can boast. 40% of all U.S. businesses are negatively affected by adverse weather events each year. After super storm Sandy, 31% of all the businesses affected could not open their doors six months after the hurricane. The hurricane caused $65 billion in damages to the region. A disaster recovery plan can help with data storage and recovery, telephone and Internet access, along with setting up a communication plan between employees. Firms like TOSS C3 provide this service so that law firms can get back to court and billable hours as quickly as possible. Assessing, establishing, and then practicing your plan will ensure your business survives the disaster and that things get back to normal as quickly as possible. Request a Quote for a disaster recovery plan for your law firm. Contact us today!